Mother and daughter reconcile just before the mom passes away. If you’ve ever struggled in a mother-daughter relationship, this story will give you hope. 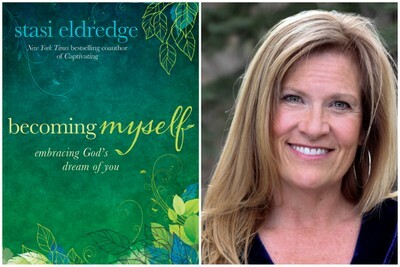 Stasi Eldredge, author of Becoming Myself (also on DVD) tells this heart-wrenching story. Stasi’s new book & video series “ushers women into an authentic journey of freedom, healing and transformation.” Go deeper into your own story, as Stasi leads the way with a book, study guide and DVD video series. You can discover more about Stasi’s new book & video series at becomingmyself.com or go to Channelmom’s Home Page & Click on “CM Podcasts” for the rest of Stasi’s interview!